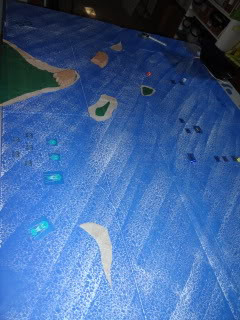 On my blog is a battle of Aquanautica Imperialis between the Tau Auxiliary Fleet and Ammoirss Pirates. It originally took place in 2011, so my apologies if the pictures are not 100% in order. I do not really recall the game. However, it was brought to the light by the Great Photobucket Fiasco of 2017. On to today's battle report!